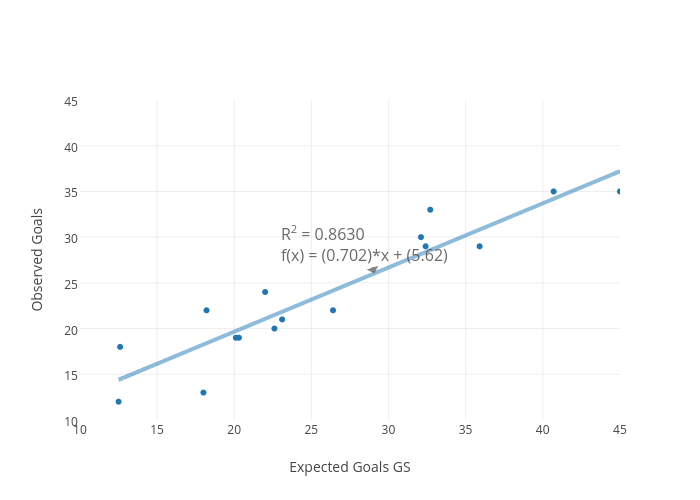 First a reminder of how the fit between actual goals and Expected goals looked with the “old” algorithm, not taking game state into account. An average fit. Last time I did it the fit it gave me an r2 of 0.63 so the latest rounds of Allsvenskan seem to have had negative impact on the fit. Örebro and Halmstad are underachieving a lot according to this model and are the ones making the fit bad. I guess we´ll see at the end of the season if they have normalized their values. Now I did the same plot but with Game State, GS taken into account and this happened! The r2 increased to 0.86, well matching the the model of Martin Eastwood . So all of a sudden I have a model using a Gradient Boosting Regressor that seem to do just as well as the SVM model Martin Eastwood uses. GS is by far the second most important feature behind the shot location. 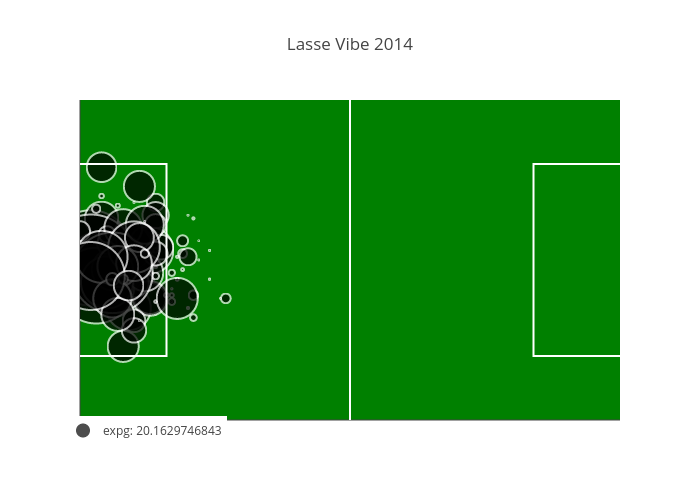 To sum this post up I can also say that I remade the ExpG plot on Lasse Vibes 2014 season. I’m not sure what this says. 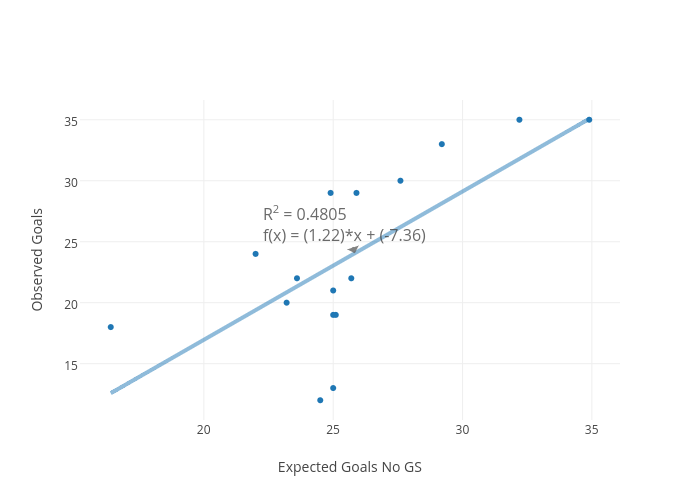 I’ll have to look in to his goals and more exactly look at how game state affects the scoring probability. One theory I have is what I could call the classic “goalscorer syndrome” and that may be what we se on Lasse Vibes increase in ExpG here above. That is: When a game already is settled – a goalscorer keeps on trying to score while the defenders may loose some edge… Just one theory..